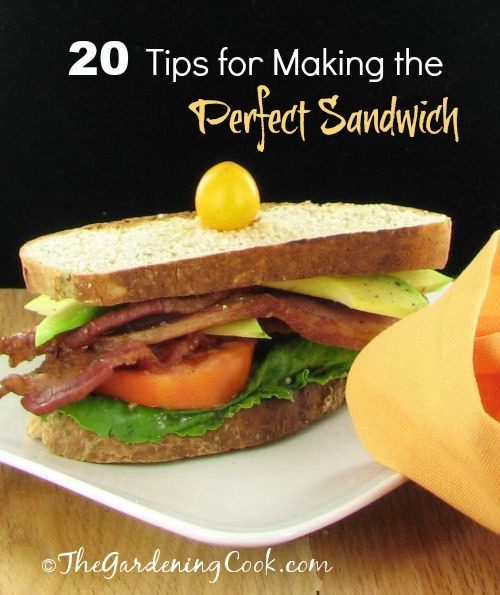 Making a Great Sandwich is Easy with these 20 tips. 1. The spread matters. Yes, you can have dry toast and ham and call it a sandwich, but will it taste great? Maybe not… Get creative with the spread. Butter and mayonnaise are common spreads but if you think outside the box, you may come up with some others. How about ripe avocado for a burst of heart healthy fats? Or chutney, hummus, salsa or BBQ sauce. Basically anything that spreads well can be the start of your great sandwich. 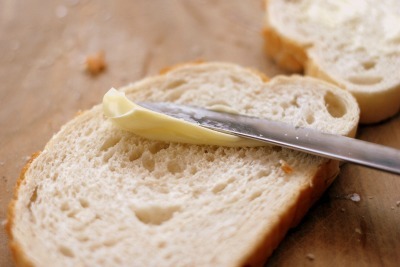 And make the spread go right to the edges of the bread to help make a seal to combat moisture in the fillings. 2. Start with a great bread. 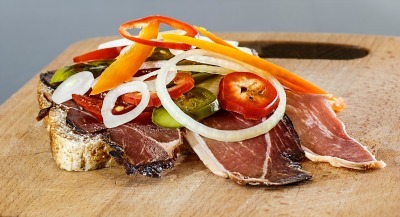 When I make a sandwich I start by thinking what will go with the bread I have chosen, not by saying what bread can I put with this roast beef. The bread should be the star. No pasty white bread for me! Nosiree! 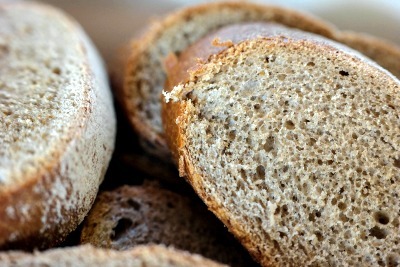 I love crusty whole grain breads that taste just fine with nothing on them, and taste superb with the right toppings. 3. Keep it fresh. You can make the sandwiches for your husband or children the night before and wrap them in saran wrap and put them in the fridge and call it a sandwich. And when they eat it, they will call it a soggy sandwich. But make the sandwich the next morning, or right before it is served and they will ask you to make it again and again. 4. Skip the soggy ingredients. I love lettuce and tomato in a sandwich as much as the next guy, but they are really mostly water and this makes for a soggy sandwich. Think of other things that would give a similar great taste and texture but without all that moisture. Slices of avocado, roasted bell peppers, cucumbers and shredded cabbage all give a lovely taste to the sandwich without making it a soggy mess. 5. Keep it simple. Not all sandwiches need to be Dagwood style. You should be able to get all the ingredients into your mouth in one bite, otherwise you may as well serve it deconstructed with a knife and fork. Aim for 4 or 5 good quality ingredients that go well together and call that good. 6. Achieve Balance. Start with the bread and then choose the protein and cheese that pairs well with it and then add the other few ingredients to make the sandwich a balanced whole. 7. Compliment the bread. If the bread is mild flavored, go for bolder choices for the protein and fillings. If you have a hearty bread, tone down the fillings. And be careful with very spicy and bold items like hot mustard, jalapenos and olives. These ingredients can overwhelm a sandwich in a heartbeat. 9. Consider toasting the bread. If you are making the sandwich at home, consider toasting the bread in the oven. 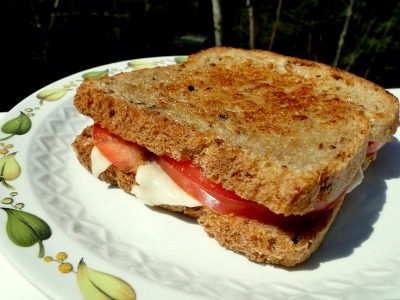 Toasting brings out the sweetness of the bread and warms up whatever you put inside the sandwich. Even grated cheese and ham warmed in the microwave can turn a boring sandwich into some gooey deliciousness. 10. Don’t forget the seasonings. Salt and pepper and some mild spices are not just for stove top cooking. They also do wonders for the sandwich fillings too. One of the best sandwiches I have ever eaten was from a hole in the wall diner in Maine where the server added just the right amount of salt and pepper to an otherwise plain chicken salad sandwich. 11. The knife matters. Why make a great sandwich and then massacre it with the wrong knife. (particularly a dull one!) Take a minute to dig out the serrated bread knife, and use a sawing motion and let the knife do the work. 12. Go easy on the onions. 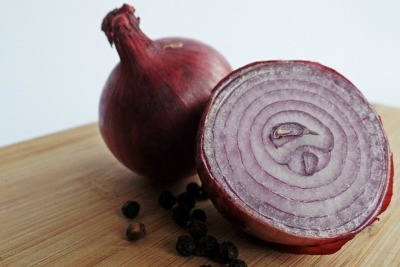 Onions can add quite a burst of flavor to a sandwich but raw onions have quite a bite to them. Tame them down a bit by tossing in kosher salt, or soaking them for about 20 minutes in water and then drying them before using. 13. Maximize your left overs. 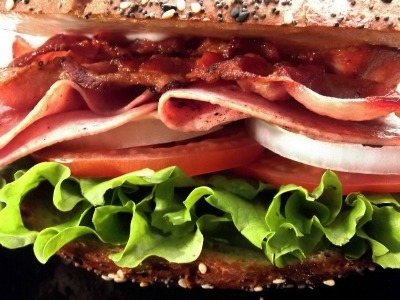 Sandwiches are not just for cold cuts and cheese. Some really wonderful ones are made by using last night’s left overs. Left over roast beef, meatballs, home made turkey and roasted vegetables all make great sandwich fillings. 14. A little Crunch goes a long way. There is nothing quite like a sandwich with crunchy fillings. Get these by washing and storing your greens and veggies in the fridge prior to making the sandwich, using extra crisp lettuce and shredded carrots and other crisp veggies to the mix. 15. Layer it well. 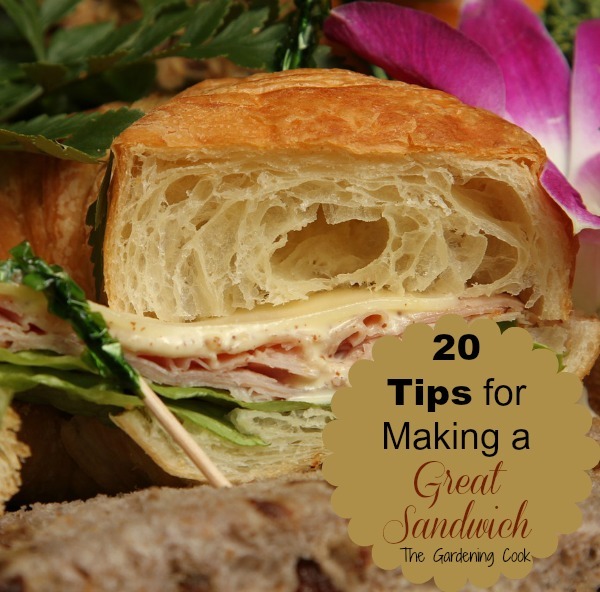 We all have our own way of layering a sandwich, but if you put the meat and cheese on the bottom, it helps to combat sogginess. 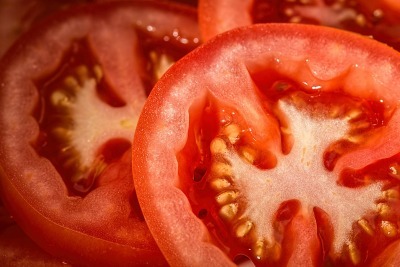 Add watering veggies such as sliced tomatoes in the center and then add the crisper ones on the top layer. 16. Wrap Properly. Sandwiches are best eaten right after they are made for maximum flavor. But if you must pack one, please do it properly. Greaseproof paper, or baking paper, such as parchment paper, is ideal for helping to keep a sandwich at its best. 17. Tips for kid’s sandwiches. Keep their appetite in mind and make them a smaller sandwich than one you would make for an adult. Kids get very frustrated if the sandwich they are eating is messy and hard to manage. Make the ingredients colorful and cut the sandwiches into fun shapes before wrapping. 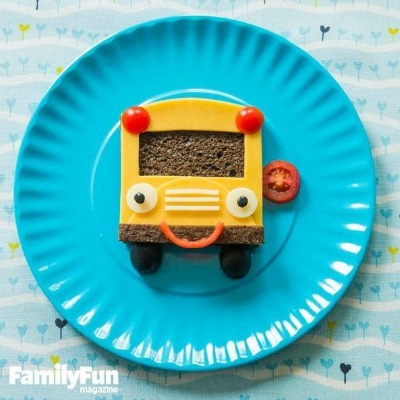 This adorable school bus sandwich is shared from Three Boys and a Dog. Get her recipe here. 18. Think like a restaurant. Serve warm sandwiches on hot plates and cold sandwiches on chilled plates for the optimum dining experience. 19. Think in waves for your protein. A great looking, and tasting, sandwich have the protein placed on the bread in a wavy motion, instead of flat on the bread. Eating it just seems more pleasurable and the other flavors seem to mix better than a flat chunk of protein all glued together. 20. Match ingredients to the bread. If you have thin slices of bread, don’t overload them with ingredients. By the same token, very hearty bread needs more than just a slice of cheese or you will have a dry mouth feeling that is not great at all. 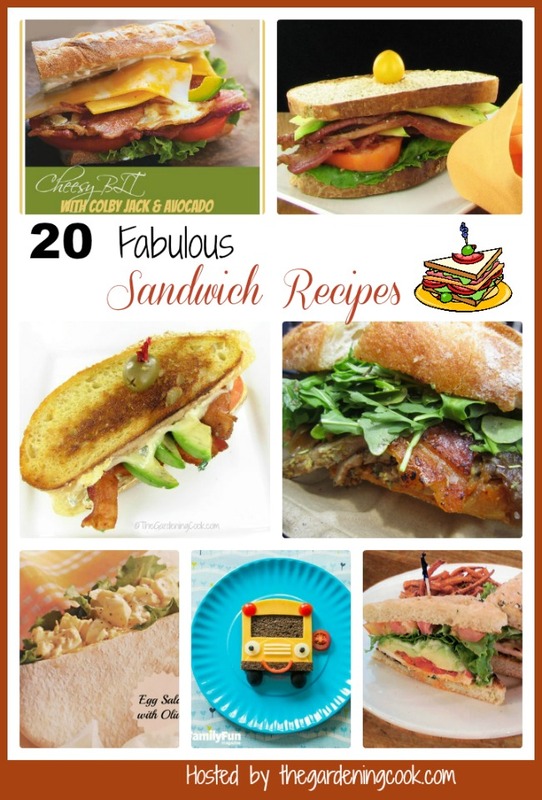 Now that we have talked about how to make a great sandwich, why not test this with some scrumptious sandwich Sandwich Recipes ? 1. Pesto Turkey Layered Sandwich. 3. BLT wraps with a special Sauce. 4. Chicken Club Sandwich with Rosemary Aioli. 5. Cheesy BLT with Colby Jack and Avocado. 6. Martha Stewart’s Crab Sandwich. 7. Apple and Tuna Sandwich. 16. BLT with avocado and Garden Vegetable Sandwich. I love your very first tip about how important the spread is in a sandwich, and your thoughts for how to get creative! I feel like using a ripe avocado would be amazing on a turkey bacon sandwich, for example. I bet you could probably order some creative and healthy alternatives to mayonnaise online. I never took into account the fact that lettuce and tomato are mostly water and makes for a soggy sandwich. 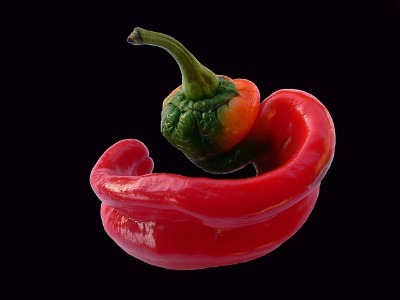 Using slices of avocado or roasted bell peppers instead is a great idea to prevent sogginess. One of my favorite places to eat out, Casapullas, always makes great sandwiches, and I would love to make some good sub sandwiches myself. I like sandwich very much and I was looking for such tips for a long time.Thanks for sharing. It’s so awesome that I stumbled upon your post on making great sandwiches. I am about to prepare some snacks for the kids prior to this reading. 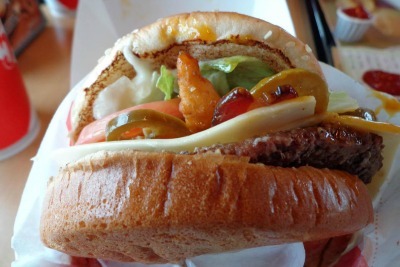 However, I was the one got hungry because of these all delicious sandwiches, hahaha! Hang on I am going to get mine!